As a result of the creation of the State of Israel in 1948 roughly 800,000 Jews were expelled from various Arab countries in which they had been living for generations. Consequently they were forced, like millions of other refugees throughout the 20th century, to resettle elsewhere. Although certainly not an easy task, eventually both the initial refugees and their descendants were able to let go of the past and move on with their lives. Unlike the Jewish refugees from Arab countries, the story of the roughly 500,000 Arab refugees created by Israel’s War of Independence has been vastly different. For rather than being encouraged to resettle elsewhere, they were turned into permanent refugees in order to be used as a political tool against Israel. For this purpose a special UN agency, the United Nations Relief and Works Agency (UNRWA), was created in 1950 for the sole intent of maintaining, as opposed to resettling, the original refugees. Even today nearly seventy years later UNRWA continues with this policy and doesn’t even attempt to hide it as they boldly state on their site “We are committed to fostering the human development of Palestine refugees by helping them to acquire knowledge and skills, lead long and healthy lives, achieve decent standards of living and enjoy human rights to the fullest possible extent.” Noticeably absent from this list is any attempt to help the refugees restart their lives in another place. Thus while UNHCR is constantly trying to lower the number of refugees in the world, UNRWA is actually working in the opposite direction. By an absurd policy that is unique to UNRWA and which states that “the descendants of Palestine refugee males, including legally adopted children, are also eligible for registration”, UNRWA has succeeded in turning the original half a million into five million and counting. In addition to the detrimental policies of UNRWA which have deliberately kept the refugee issue alive for years, the refugees themselves, both the original and their descendants, as well as the other Arabs living in Judea and Samaria, have been led to believe that eventually they would receive their own country somewhere west of the Jordan River. By some they were told the new country would include their former homes in Haifa and Jerusalem while by others they were promised a more modest state side by side with a tiny Jewish one. Different variations of these assurances have repeatedly been made to them over the years by assorted Arab leaders, western/international leaders and even some Israeli leaders. Hence although the Arabs themselves, refugee or non-refugee, are partly to blame for not letting go of the past and simply moving on with their lives, it’s obvious that their permanent statelessness is also due to the fact that they’ve been a pawn in a much larger game. What’s more, the seemingly endless bloody conflict between Jews and Arabs is the direct result of intentionally keeping this issue alive. This is by far the most tragic aspect of all the false promises and misleading UN policies. Nevertheless and despite the fact that at the moment there appears to be no end in sight to the conflict, something must be done since Israel cannot rule forever over another population with roadblocks and security checks and the Arabs cannot live eternally in a state of limbo. Therefore, in order to finally break this vicious cycle and to allow everyone to move on with their lives, some truths must be faced. For starters, despite all the promises that have been made it’s clear to nearly everyone today that Israel cannot allow for the creation of an Arab state in any shape or size west of the Jordan River since such an entity would pose an existential threat to the very existence of the Jewish state. Thus, despite all the headlines that the two-state solution receives, practically speaking it’s a non-starter. More than twenty-two years of the failed Oslo Process and all the accompanying wars and terrorist attacks, as well as the still unfolding events of the “Arab Spring”, makes this point self-evident. Equally suicidal for Israel is the granting of citizenship to another one or two million Arabs living in Judea and Samaria – many of whom consider Israel an enemy state – as part of any future process of Israel declaring sovereignty over these areas. The demographic and economic problems of such an endeavor, combined with the obvious security problem of absorbing a large hostile population, would surely overwhelm the Jewish state. The only solution therefore, and by far the most humane one, is to rectify the injustice that was done to the Arabs by both the negligent polices of UNRWA and by years of being misled by false promises of statehood west of the Jordan River. Practically speaking, the Arabs need to be financially compensated and helped to resettle elsewhere, as the Jews from Arab countries did seventy years ago and as millions of refugees have done over the course of the last one hundred years as a result of various wars and conflicts. The new host country could be neighboring Jordan or another Arab country or wherever as long as it’s part of an international agreement. Such an agreement would also need to allow Israel to fortify its long-term security by extending Israeli sovereignty up to the natural border of the Jordan River. Although such a suggestion may sound harsh to some people, the truth is it is the only way to resolve the one hundred year conflict and to stop the pointless and never-ending bloodshed between Jews and Arabs. Moreover, the idea of financially compensating the Arabs and helping them to resettle elsewhere as part of an international agreement is the only solution that will both guarantee the continued existence of the world’s only Jewish state as well as enable the Arabs to escape their prison of false promises and to finally start building normal productive lives. For the well-being of both Jews and Arabs, the time has come to embrace the only solution that is truly capable of ending the conflict. 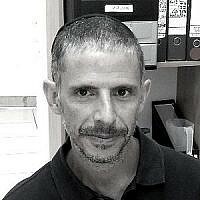 Yoel Meltzer is a freelance writer with an M.A. in Middle Eastern Studies from New York University. A former New Yorker, he moved to Israel in 1996 and currently lives with his wife and four children in Jerusalem. He can be contacted at yoelmeltzer@gmail.com.